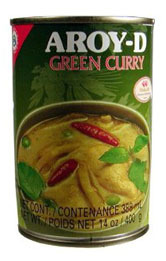 Aroy-D is my go-to brand for both pre-made curry and the coconut milk used to make home made Thai style curries. Their curries, which include a great red curry and a mouth-watering masala curry, are all good, but in our house green curry is king. Their green curry is simple, made with coconut milk, green curry paste, water, salt, bamboo shoots, sugar, basil leaves, and simply delicious. And it's insanely easy to make on a busy weeknight. Just open the can, toss in your preferred protein (we like shrimp with it best, but other things like chicken or tofu are also hella tasty), and simmer until cooked. Serve over rice. It's a little spicy, so we do a quick rinse-off of the cooked meat for Kaylee. Dani's tolerance for spice is growing and she can eat more of the sauce herself now. I also usually serve cucumber with it, something cool to off-set the heat. 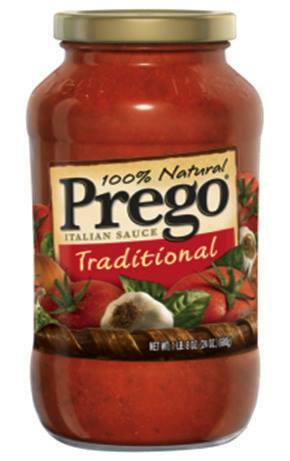 Most of us probably have our favorite marinara sauces, and mine is Prego. The kids love it, and like any marinara it is versatile as hell. Add meatballs, sausage, mushrooms, ground beef, zucchini, whatever you'd like, everything goes with marinara! Just cook up your meat, pour in the sauce, add some veggies (if you want, you can just eat the sauce straight) and serve over pasta. And to keep things fun for the little ones, we often change up the type of pasta we serve it with, spaghetti, rigatoni, macaroni, shells, and if we're lucky enough (aka mommy managed to get to the store recently), pillow noodles! (oh, yeah, that's what my kids call ravioli). In any case, we always have a jar of Prego in the cupbard, my kids will hardly eat pasta without it! Just like the commercials say, Patak's simmer sauces are as easy to make as spaghetti. 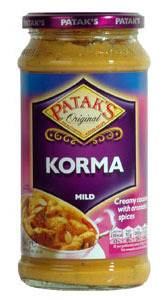 My favorite of all their sauces (and I've bought every kind I've found), is the korma. Yummm. Just like the last two you can make it with just about any kind of protein. My favorite way to eat it is with tofu, peas, and cashews. I fry up the tofu then pour in the sauce and add some frozen peast and cashew pieces and simmer. We either eat it with rice or scoop it up with naan (Trader Joe's has some great frozen naan, fyi). It's not spicy at all, it's more buttery and packed with yumm. The kids even eat it without a fuss! 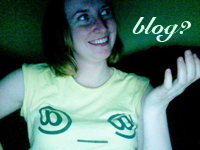 It's definitely my favorite on this list and writing about it is making me so damn hungry. So there you have it, my family's favorite staple dinner products. What are yours? WOW, you're worldly. I never knew what curry was (still not totally clear), and I've NEVER heard of korma. Commercials? Really? Are we talking on American TV? Because I thought I'd seen every commercial ever. 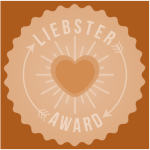 My husband and I love eating international foods, before we had kids all our vacations were totally based around food we liked or wanted to try. I'd say at least a 3rd of the food we eat is "eastern" rather than "western" and these are all things you can get at my local Cub, so I don't think about it much. Target carries Patak's too, check it out! It was an American commercial, pretty bland though, not sure I would have remembered it had I not already been hooked on Patak's. I'm TERRIBLY picky. The only "international" food I like is tapas, Italian and Mexican. Oh and tzatziki! Basically, I love garlic. What IS it? A sauce? An awesomesauce? You can throw some yogurt in your kid's curry to take the edge off. Gosh, please come cook for me. We're all about Primo pizza sauce. We both hate cooking and we're lazy, so quick and easy mini tortilla pizzas are a go-to in our house!